Kimberly Kardashian “Kim” West, is an American reality television personality, socialite, actress, businesswoman, and model. She wears shoe size 7 and was born on October 21, 1980, in Los Angeles, California. Known for her massive shoe closet, Kim Kardashian founded ShoeDazzle in 2009. 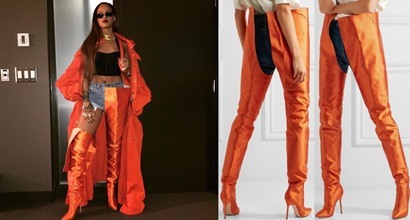 With an estimated net worth of $200 million, it’s perhaps not surprising that the celebrity star has one of the most impressive shoe collections in Hollywood. She was the highest-paid reality television personality of 2015 with total earnings exceeding US$53 million. Kids: Kim Kardashian gave birth to her first child with Kanye West, daughter North West, on June 15, 2013. Kim gave birth to her second child, son Saint West, on December 5, 2015. 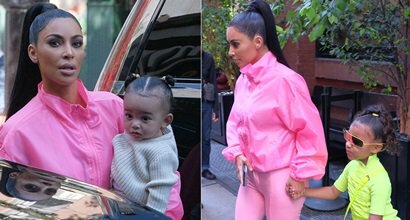 She had a daughter (Chicago West) via surrogate on January 15, 2018, and is expecting another outsourced baby son in 2019. I have to be in a relationship in order to be intimate. I’m not the one-night-stand kind of girl. Despite the rumors. At the end of the day, life is about being happy being who you are, and I feel like we are so blessed to have the support system and the best family to really just support each other no matter what we’re going through. Obviously, as you grow up, no one’s ever 100 percent proud of every decision that they’ve made, and that’s OK. I think as long as you learn from your mistakes and don’t make them over and over again, you’re on the right path. You make mistakes, but I don’t have any regrets. I’m the kind of person who takes responsibility for it and deals with it. I learn from everything I do. I work very hard, I have so many things going on in my life. Get to know me and see who I am. If I feel something, it’s how I feel. I never say, ‘I feel this way, so you should feel that way.’ Not that there’s anything wrong with it, but I just am who I am. But, yeah. I think you would call me a feminist. I’m totally not against plastic surgery. I’ve tried Botox before. That’s the only thing that I’ve done. Ever since I felt the baby kick, it’s such an amazing feeling, and it’s really allowed me to embrace it. Once you feel this movement inside, it’s just a whole different experience, so I love it now. It was tough at the beginning, but I’m past all that, and I love it now. I love the sun but don’t have the time to get a good tan and keep it year-round, so I am a huge fan of tanning products. People are recognizing that I am an entrepreneur and do more than be on a reality TV show. I am hands-on in any project that I am associated with. I just don’t want to put my face or name and lend it to a product that I’m not behind a hundred percent. I’m just really supportive of everyone – even though I believe that things should be equal, people have different circumstances in their life that have taught them to be who they are. Even if I don’t agree with them, I don’t judge them. I’m a really non-judgmental person. The first time I was pregnant, Kanye and I were dating, and I was just being introduced to the world of fashion. I wanted to work with a bunch of different stylists, and when you work with a new stylist, everyone wants to possess your look. I know people think we drive around in these nice cars and we do whatever we want and our parents will pay our credit cards, but that’s not the case. Sure, my parents were generous; I got a nice car at 16, but at 18 I was cut off. I’ve worked really hard. I opened the store myself. I’m not trying to influence anyone else; I’m not saying, ‘Do what I do.’ I think it’s a little pretentious to say, ‘I’m a role model’; I would never say that, and I don’t think of myself that way. 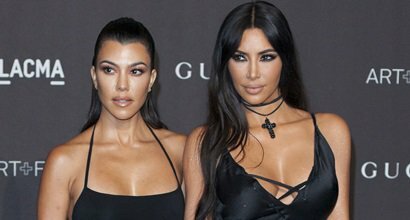 I think that there’s the Kim Kardashian brand and the Kardashian brand. I think they blend together, but I have different qualities or interests that my sisters might not be so into. I feel lazy when I’m not working. I learned all my business sense from my dad. He always believed in me, and I think the last thing he said to me before he passed away was, ‘I know you’re gonna be OK. I’m not worried about you’. When I turned 16, my dad made me sign a contract – he made us sign contracts for everything – that if I hit my car, I would be responsible for paying for it. I was in bumper-to-bumper traffic, and I tapped someone. It was so not a big deal, but I had to pay for it. 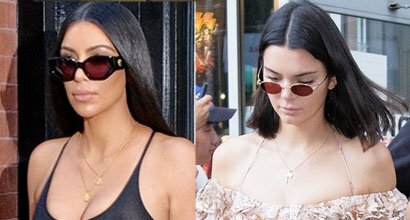 You can always count on the Kardashian sisters to turn a casual day running errands into a full-out style ordeal…. 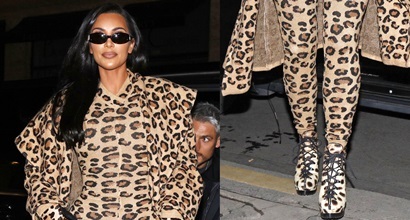 Earlier this month, the Kardashian sisters stepped out in stylish heels to celebrate Cinco de Mayo at Casa Vega restaurant…. 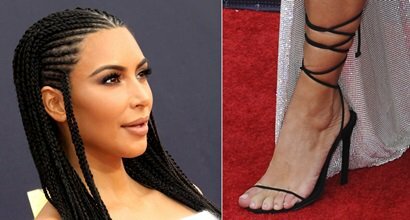 Did Kim Kardashian Just Preview the Latest Yeezy Sandals at the Met Gala?